Rhodiola Rosea, generally known as Aaron’s rod, Golden Root, Orpin Rose, King’s Crown, Lignum Rhodium, Rose Root, Western Roseroot, Lignum Rhodium or Arctic Root, is a genus of Rhodiola, belongs to the family Crassulaceae. It is a flowering plant which perennially grows in the cold parts of the earth. We come across them in the mountainous regions of Central Asia, most parts of the Arctic, high ranges of Europe, like the Pyrenees, Alps, Scandinavia, Ireland, England, the mountains of the Carpathian and Ireland. It is also spread along the eastern provinces of North America, ranging from the Baffin Island to the mountainous regions of North Carolina. Primarily this plant was documented by the Greek physician Dioscorides in 40-90 AD in De Materia Medica, and renamed as Rhodiola Rose which was formerly called Rodia Riza. It has a reference to the scent of rose that emanates when the root is the newly cut. A naturalist from Sweden, Carl Linnaeus of 1707 to1778 has recorded the uses of R. Rice in the form of an astringent in the treatment of headache, hysteria, leucorrhea and hernia. For hundreds of years the Scandinavians and the Russians have been using this plant. In the Tibetan folk medicine R. Rosea it is used as a hemostatic. Some people in central Asia made tea using this herb, which they believed, to have the properties of relieving flu and cold, whereas in some places like Mongolia, the herbalists used it to prevent and cure cancer and tuberculosis. Since long, it was termed as an Adaptogen, which meant that the substances acquired from the natural plant, worked for the overall improvement of the body function and in boosting immunity. In Eastern Europe, this herb was highly prized for possessing properties to improve work performance, to stimulate the function of the nervous system and to prevent fatigue. Rhodiola Rosea grows to a height of 5 to 40 cm (2.0 – 15.7 in); it has a number of fleshy stems that rise from a rootstock that is scaly and short. Its blossoms have four petals and four sepals, and their color ranges from greenish yellow tint to yellow and at times it is red at the tips. The length of the flowers is around 1 – 3.5 mm (0.039 – 0.138in) they flower in the summer season. Rhodiola Rosea grows along the coastal beaches (sea beaches), ledges or ridges, cliffs or balds. Rhodiola Rosea is a flowering plant that grows perennially. Rhodiola Rrosea thrives well in soils that are rich with humus and in brown forest or sandy soil. Frequently, remove the weeds in the soil. Ensure that the bed is located in an exposed area where it receives sunshine. Before planting, treat the soil either with fertilizer (4 to 6 kg/sq.m) or processed manure (3 to 5 kg/sq. m). To enhance the growth of your plant and porosity of the soil, add gravel, grit or vermiculite to it. Never use fertilizer that has a peat base. During the initial period of its growth, water your plants and weed with care. Take a tray where you initiate your planting, fill it up with potting soil and water it. On the top of the soil sow your seeds. Cover the seeds with a little soil after ramming them down. Never sow the seeds deep because, then, the germination of seeds will not take place. The best method to propagate the Rhodiola Rosea is by seed germination. For a speedy germination, place the seeds in a refrigerator for about 6 weeks. Before sowing the seed, fill the tray with potting soil, and water the soil well, to make it moist, but not wet. The seeds should not be sown deeply, but just covered with some soil in a way that it gets enough sunlight for the germination process. Placing the seed tray in the greenhouse will protect the seedling from strong winds and the sun. Seeds will germinate within 2 to 4 weeks at a temperature of 50 degree Fahrenheit. Water the plants according to the need. During the growing period, a majority of the plants are fond of 1 inch of water every week; however remember that you should not water in excess. Water your plant regularly following the initial two years of installing, in order to establish it. The critical period of growth is the first year. It is advisable to water your plants thoroughly weekly once rather that watering regularly for a little while. The sum of the substance of Rosavins is considerably greater during the drying period when the temperature is either 50°C or less in comparison to warmer temperatures. To prepare the Cinnamic alcohol the substance present was at the peak when it was above 60°C. Given below are suggestions to deal with pests of Rhodiola Pachyclados and issues relating to it. Black spots or colors of rust enveloped by segments of the stem of a cactus are a sign of infestation by fungus. These are regularly appearing commonly in epiphytic cacti, it is rarely seen on cacti of other varieties. At times, a fungus that consumes the withered tissues of the plant is Rot. 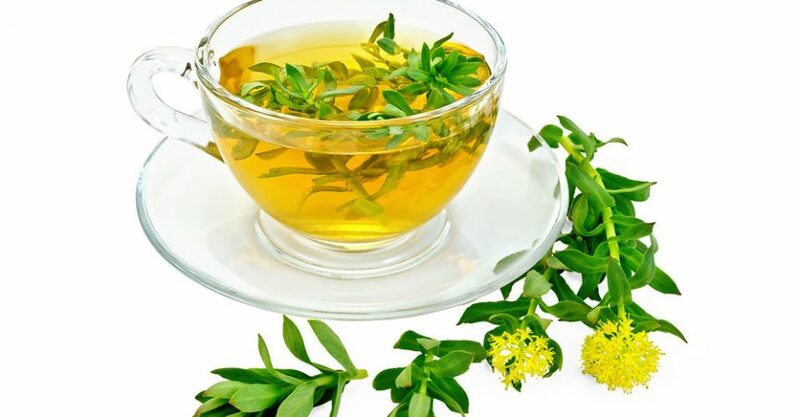 Rhodiola Rosea is available in liquid extracts and tablet form. According to Natural Medicine Comprehensive Database (NMCD), oral intake of this herb is to an extent safe, if taken in an appropriate manner. Some clinical studies claim that using Rhodiola Rosea herb about 340 mg for ten weeks in 2 doses daily is safe. Initially, take about 100 to 150 mg daily in a single dose for a period of a week. Later, the dosage can be increased by 100 or 150 mg per week if required. Although, using during pregnancy period is not recommended, seeking an expert advice before using in such conditions will be beneficial. Though it was used since time immemorial for various ailments, some studies reveal that a dry mouth is the most common side effect of using the extracts of Rhodiola Rosea. It also causes Blood pressure variation. If used in higher doses, it may increase the blood pressure level and if used in small doses, it may help to reduce the high blood pressure. Hence people having Hypertension or Hypotension should consult a doctor before using this herb. A tea is made from the leaves of the Spearmint plant and it is used in the treatment of the hirsute in women. The oil of Spearmint is used in flavoring in liqueur, candy, gum and dentifrices (Like Toothpaste). It is also used in scents. The leaves of Spearmint can be used dried, fresh or frozen. As a flavoring agent it is also used in foods. It is used to treat cold, headache, sore throat, toothache and cramps. It is helpful in digestive disorder such as gas, indigestion, nausea, diarrhea, gallbladder swelling and irritable bowel syndrome. It is also applied directly to the skin to treat arthritis, for swelling in the mouth and nerve pain. Its leaves are used in the making of mint sauce. It is also used to flavor ice cream, jelly, jams and cakes.